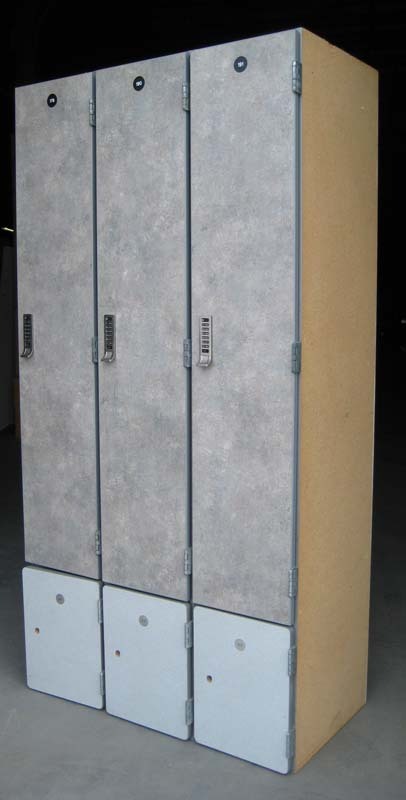 These Plastic Laminate Lockers are available on www.buyusedlockers.com where they have a huge selection to choose from if we need additional supplies. 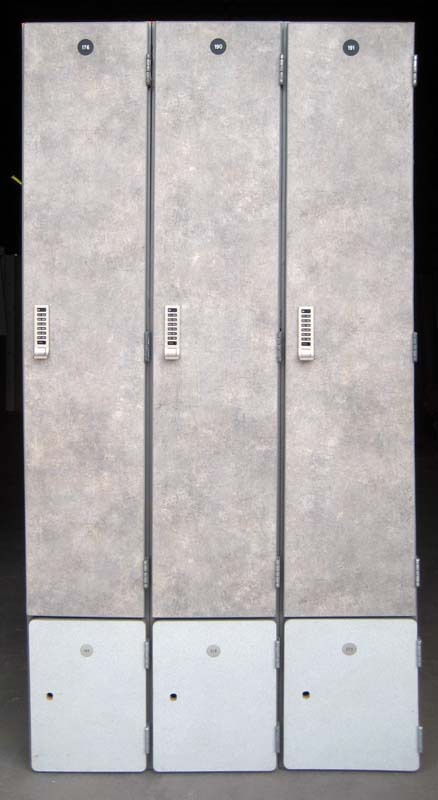 These unique 2-tier laminate lockers provide efficient storage at a great value price! With an overall measurement of 12” wide x 19” deep x 72” high, each column is divided into 2 individual locking compartments – a 16” tall box locker on the bottom, topped with a 54” locker that is equipped with 2 shelves (a full 19” deep shelf and a 5” deep shelf) and clothing hooks. 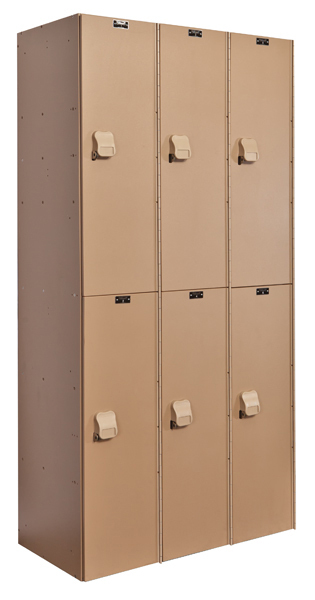 Locker doors are secured with electronic locks on the upper compartments and keyed cam locks on the lower compartments. Laminate is easy to maintain, just wipe clean with warm water and a non-abrasive cleaner; while the neutral gray tones coordinate with any setting making these ideal for use in spas, clubhouses, offices, faculty lounges or employee breakrooms. 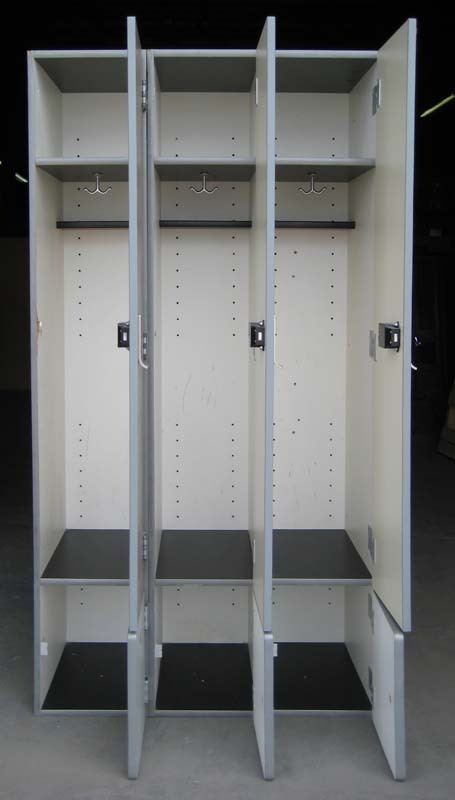 Lockers are in good cosmetic condition, 100% functional, fully assembled and ready to ship to your facility. Call today for your free quote!